For 1967 the classic MP got a facelift. The uniform was reissued first in tan and then in a vibrant green (see the below). The 1967 window box release held the tan set, and the 1968 photo box held the green. 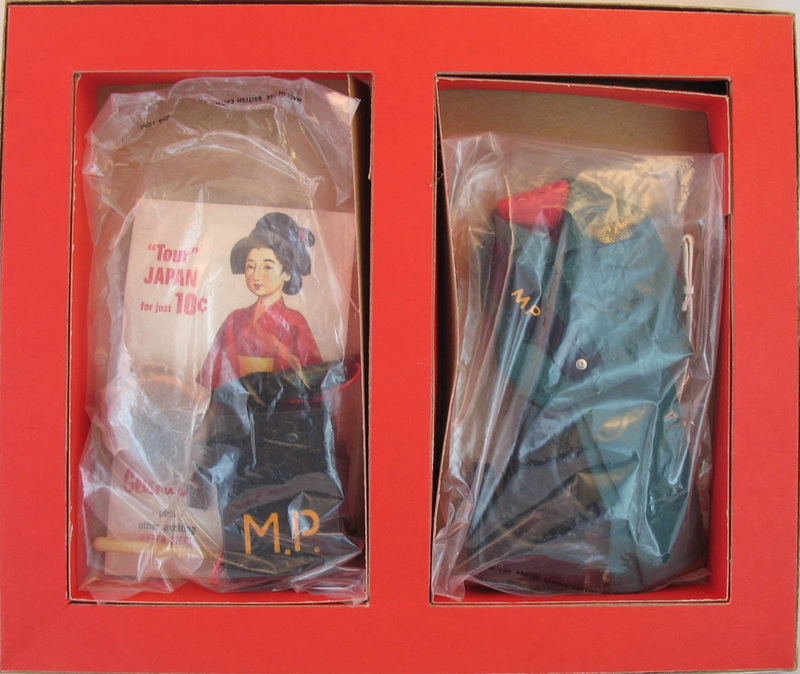 Both sets are tough to piece together, but the window box is one of the rarest GI Joe packages. I've only seen a couple in over twenty years of collecting. The addition of the striped helmet and field radio gave a whole new dimension to this great set (7539). This ultra rare 1967 window box appears courtesy of Dan Whitton, one of the top collectors in the hobby. Dan is a super knowledgable resource. 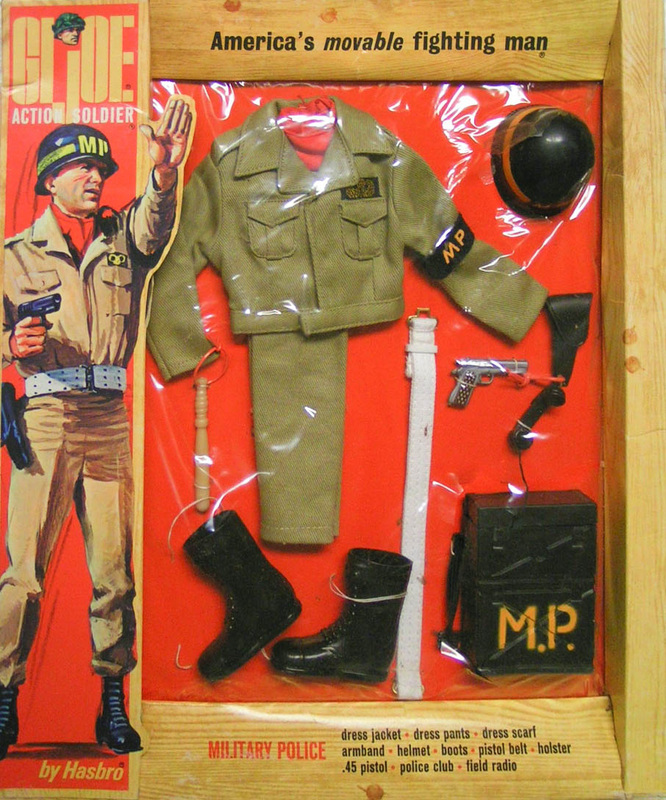 He can be found selling both GI Joe and great vintage militaria on eBay. 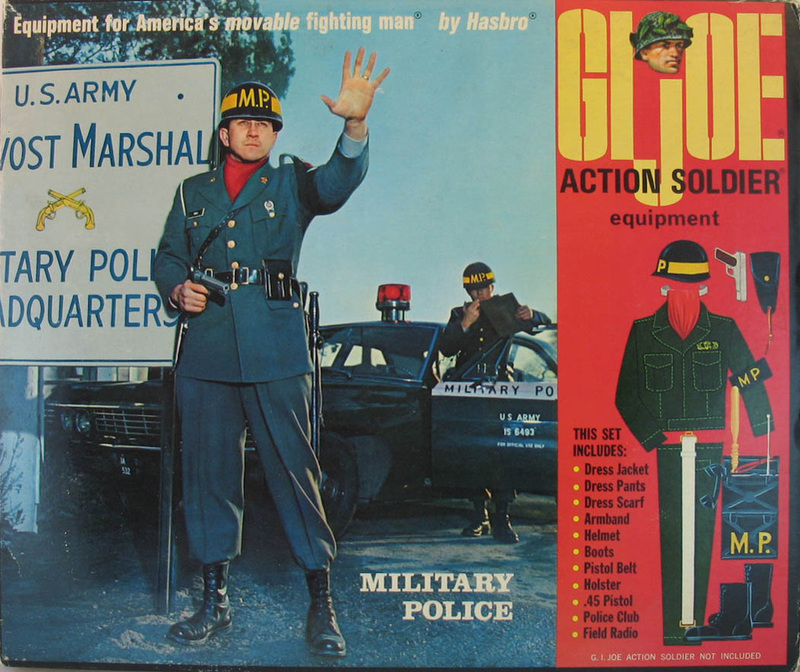 The 1968 green version of the set. This has been called 'teal green' and 'jade green' but neither name captures the color. Like the Marine Jungle Fighter, the color is fugitive, so it should never be washed or exposed to direct light for very long. The photo box cover (above) and contents (below). So is this an advertisement for GI Joe's three-day pass activities? Hasbro apparently had an arrangement with a direct mail marketing firm to place advertising flyers in some 1968 & 1969 boxes. 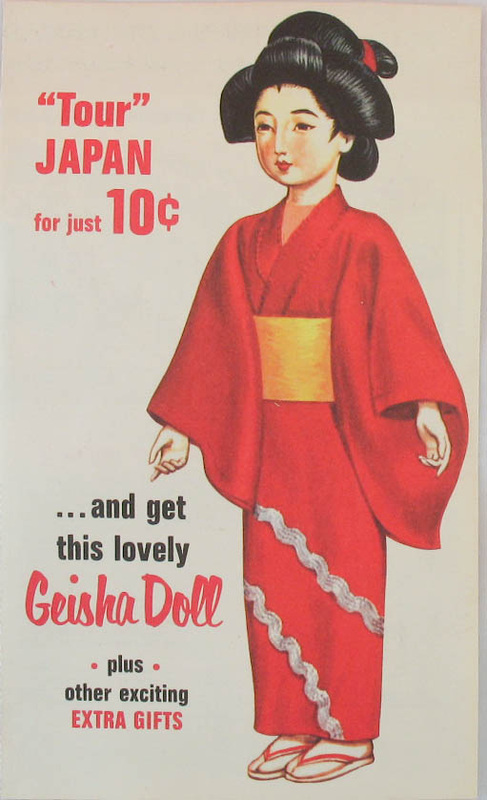 This ad, which is actually for an international stamp collection that gave the doll as a premium, was in the bottom of the Military Police photo box above. The choice of item seems quite out of place for a boy's toy. See the 1969 Adventurer page and the 1969 Talking Astronaut page for another example of such a flyer, in that case for "Happy Hollisters" books.